The expected gestational period for human beings is 37 weeks. It’s not uncommon for a baby to be born after this, or indeed before, because of complications which trigger an induced labour. A premature birth isn’t a bad thing, and indeed it can be less complicated than one at a natural time, but it sometimes needs to be done to protect the baby’s health and indeed that of the mother. This article will explain some sign of a premature baby. Some mothers are prone to the risk factors associated with having a premature baby, i.e. women who suffer from chronic disorders like diabetes, kidney or heart disease, liver problems, so they should be aware, more than most, of the signs of a premature birth. Some doctors can decide to induce labour if they feel the mother may suffer needlessly, and this may have complications in the birthing process. Other conditions which can trigger an inducing are an under-performing uterus. This can be because it didn’t develop properly during pregnancy and could be detrimental to the health of the mother and the baby, so it’s advised to induce the labour to minimize problems further down the line. So what are the classic sign or symptoms of a premature birth? What can you expect to feel or experience, so you know what may be happening. You should watch out for unexplained cramps or even contractions as your due date gets closer, these may be a sign that something isn’t quite right, and they can be a sign that you uterus is ready to let the baby go. Pressure in the abdominal or pelvic region may also be a sign of a premature birth. Watch out for vaginal leaking or bloody discharges, these aren’t natural and are usually a warning signal that something isn’t quite right. Keep monitoring your baby’s movements. If they are habitual in this regard and for some reason cease to be, then they may be ill or in difficulty. It’s not uncommon for them to be lacking oxygen or sustenance because the umbilical cord has become jarred. 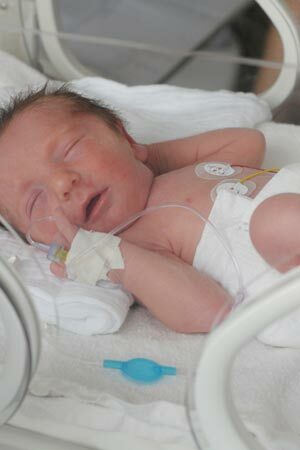 Premature babies will look a little bit different than a baby who is born on time. They will look lighter, thinner, may have more body hair. They’re obviously not fully prepared for the outsisde world, so you should be prepared for this. So just be vigilant as to the signs of a premature baby, so you are not caught unaware. There is little to be afraid about regarding their health though.